First Look: BRITANNIA: LOST EAGLES OF ROME #2 – Peter Milligan and Robert Gill Search for Clues on August 22nd! 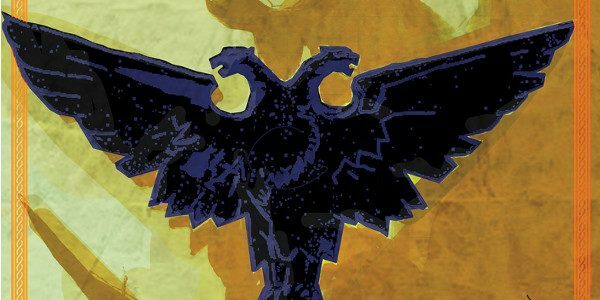 As first revealed at All-Comic, Valiant is proud to present your first look at BRITANNIA: LOST EAGLES OF ROME #2 (of 4) – the second thrilling installment in a brand-new adventure for another exciting limited series set in the world of BRITANNIA! On August 22nd, revered writer Peter Milligan (Detective Comics) and incredible artist Robert Gill (BOOK OF DEATH) unleash the detectioner known as Antonius Axia into another unforgettable dive into the depths of the ancient world! On August 22nd, superstar storytellers Peter Milligan and Robert Gill wade into a world of secrets, soldiers, and sphinxes when BRITANNIA: LOST EAGLES OF ROME #2 storms into local comic shops everywhere – featuring covers by Cary Nord (X-O MANOWAR), Sija Hong (NINJAK), and Kano (QUANTUM AND WOODY!, Daredevil)! Plus: Don’t miss the beginning of Antonius Axia’s new case in BRITANNIA: LOST EAGLES OF ROME #1, in stores July 25th! On July 25th, the first super sleuth in recorded history begins another harrowing investigation with Peter Milligan and Robert Gill at the helm in BRITANNIA: LOST EAGLES OF ROME #1 (of 4) – featuring covers by Cary Nord (Conan the Barbarian), Brian Thies (Star Wars: Legacy), and David Mack (Kabuki)!